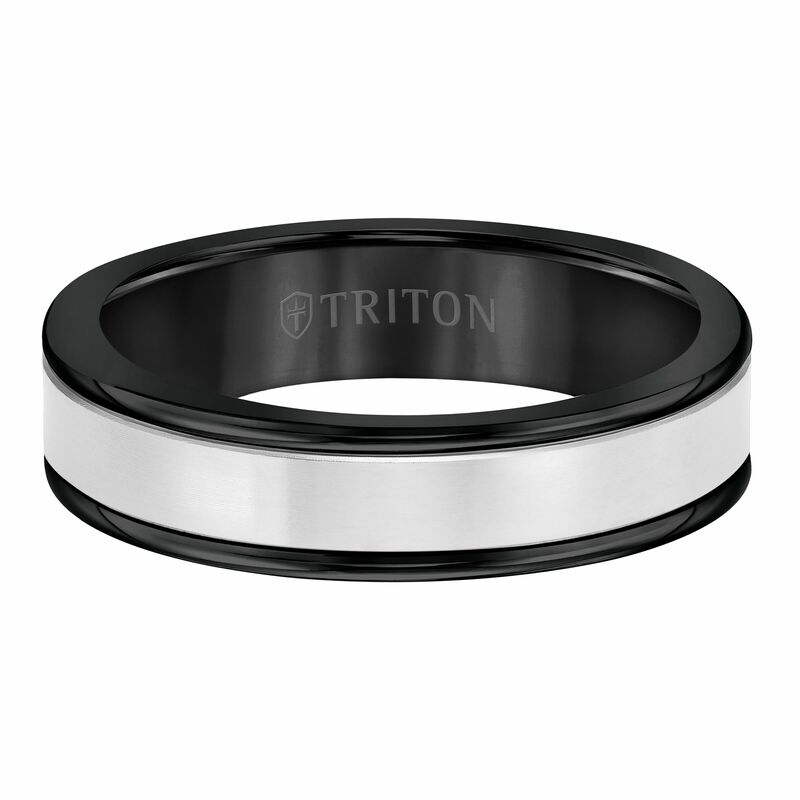 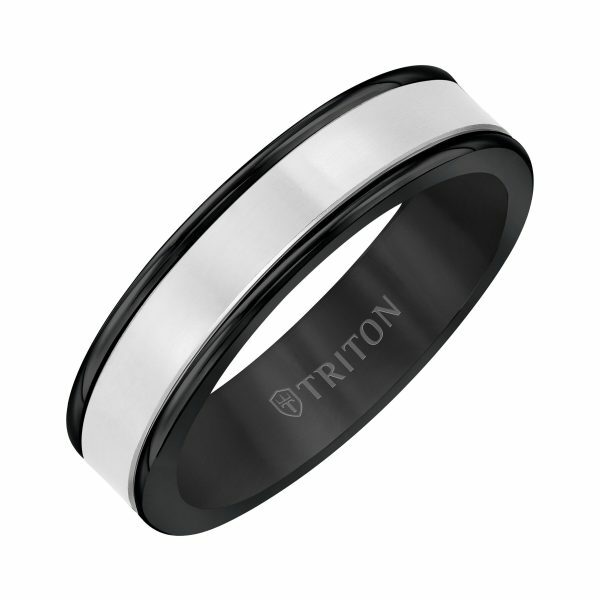 Triton Black TC850 and 14k white gold striped wedding band. 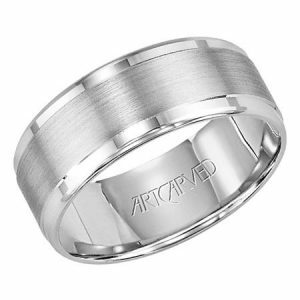 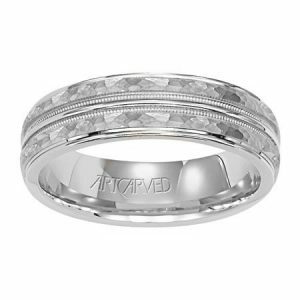 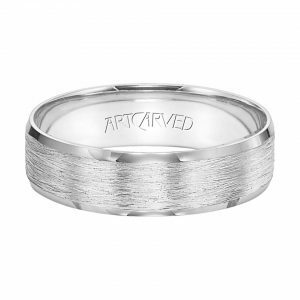 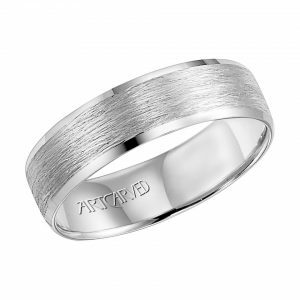 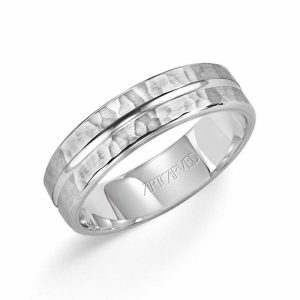 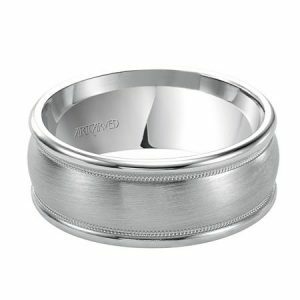 The band is 6mm wide with an inlay of plain 14k white gold, which runs the circumference of the ring. 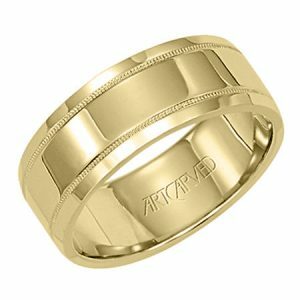 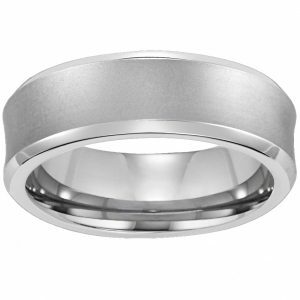 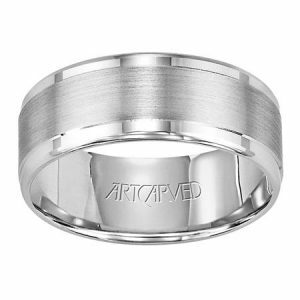 The ring has a heavy comfort fit and rounded high polished edge.